Since 2013, Dr Smith has provided annually a popular two-day training course for the Chartered Institute of Ecology and Environmental Management (CIEEM) on ecological mapping using open source GIS. The course is targeted at independent ecologists and others who need fully functional GIS software for ecological mapping but who cannot afford commercial packages, such as ArcGIS. After introductions to basic GIS concepts, the course introduces QGIS, a versatile, research-grade open source GIS highly suitable for use by ecologists. 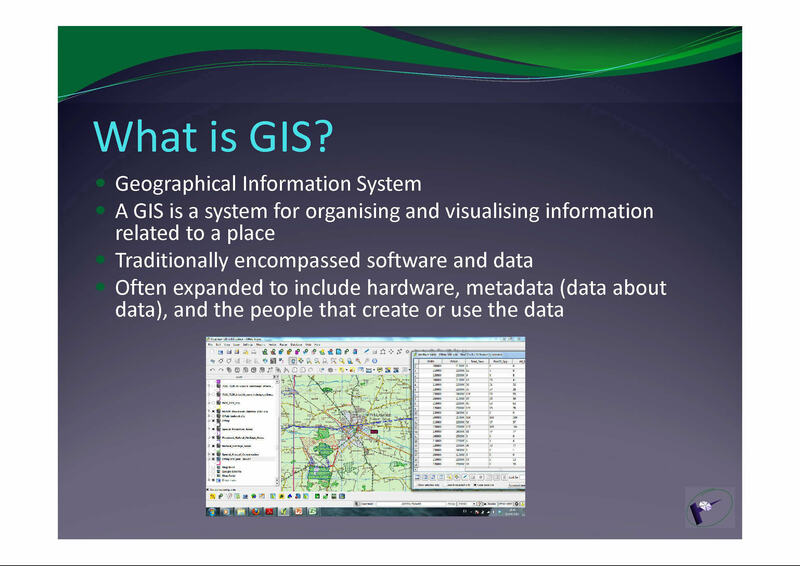 Topics covered include the QGIS interface; thematic mapping; sourcing environmental data from sources in Ireland, Northern Ireland and worldwide; creating and editing spatial data; querying and manipulating data; and creating effective, informational maps. A percentage of the course fees is donated to the QGIS project to aid in software development. Information on the 2015 course can be found on the CIEEM website. 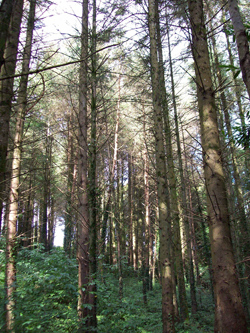 Blackthorn Ecology provided ecological expertise to Coillte on management of biodiversity throughout their forest estate. This work will help Coillte meet their sustainable forest management obligations under Forest Stewardship Council certification and under the Irish national Code of Best Forest Practice. Blackthorn Ecology developed criteria and indicators for identifying High Conservation Value Forests and woodland Biodiversity Areas. Field and desk-based biodiversity indicators were defined by conducting detailed reviews of the literature followed by rigorous field testing. 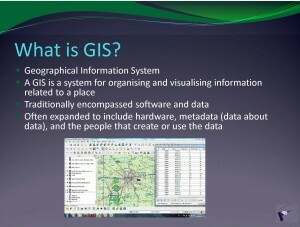 The final sets of criteria and indicators were piloted using GIS analysis of the Midlands District. Potential High Conservation Value Forests and woodland Biodiversity Areas were mapped. 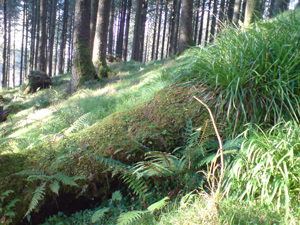 Blackthorn Ecology recommended several measures for implementing biodiversity criteria and indicators throughout Coillte’s forest management and operations. 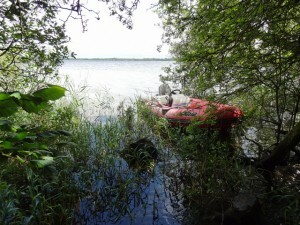 In 2012-2013, Dr Smith carried out the initial phases of research on the ecology of small wooded lake islands in Lough Ree in collaboration with Dr Fraser Mitchell at Trinity College Dublin. 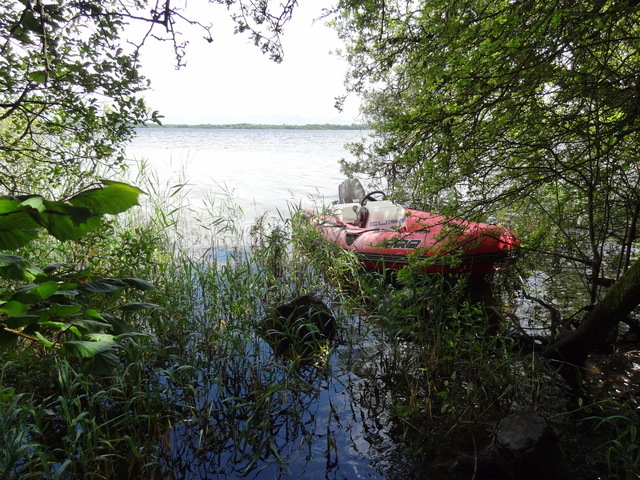 The project aims to gather baseline data on the vegetation of small, ungrazed, wooded lake islands, and to assess what environmental and geographic factors are responsible for influencing island biodiversity. These data will also be used to predict how island vegetation may change in the future in response to changes in lake levels from water abstraction or climate change. Field surveys of twelve islands have been carried out to date, and more islands will be surveyed in the coming years. Preliminary results show high levels of species turnover among islands, suggesting a strong role for chance and/or geographic factors in determining species presence. The undisturbed nature of island woodlands is reflected in a natural zonation of woodland types and the presence of an unusual Rhamnus cathartica – Crataegus monogyna woodland type. An unexpected potential threat is from deep drifts of zebra mussel shell debris that could significantly change island soils. A report has been submitted to the Heritage Council and a summary has been published in Inland Waterways News. 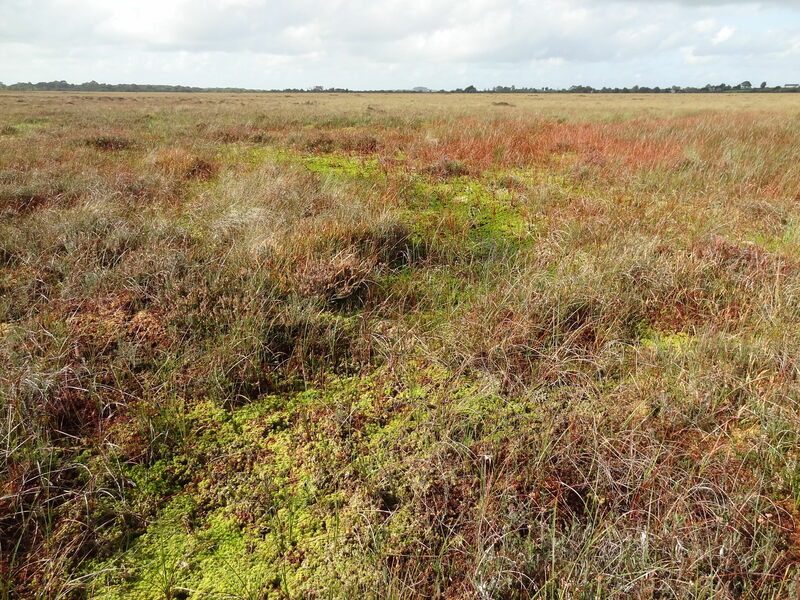 Blackthorn Ecology was part of a team that carried out monitoring surveys of raised bog SACs in 2012-2013 for the National Parks and Wildlife Service. Raised bog sites were surveyed and mapped in detail using sub-meter precision handheld GPS units. 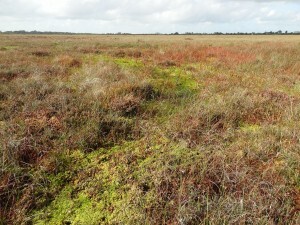 The vegetation communities present, including intact raised bog, degraded raised bog, flush and bog woodland ecosystems, and their conservation status were recorded. A number of permanent monitoring quadrats were also established. In addition, positive and negative factors influencing conservation status were noted, including turf cutting, internal and marginal drainage, forestry clearance restoration work, drain blocking, invasive species regeneration, and fire. The results of the survey were compared with the results of previous vegetation maps and monitoring data. 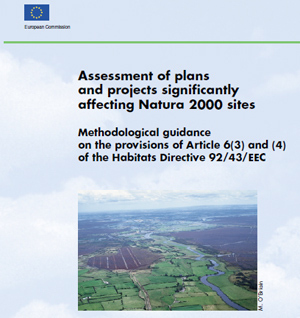 Current conservation status and future trends were assessed according to NPWS and EU methodology. Recommendations on management measures to improve the conservation status of individual raised bogs were made. 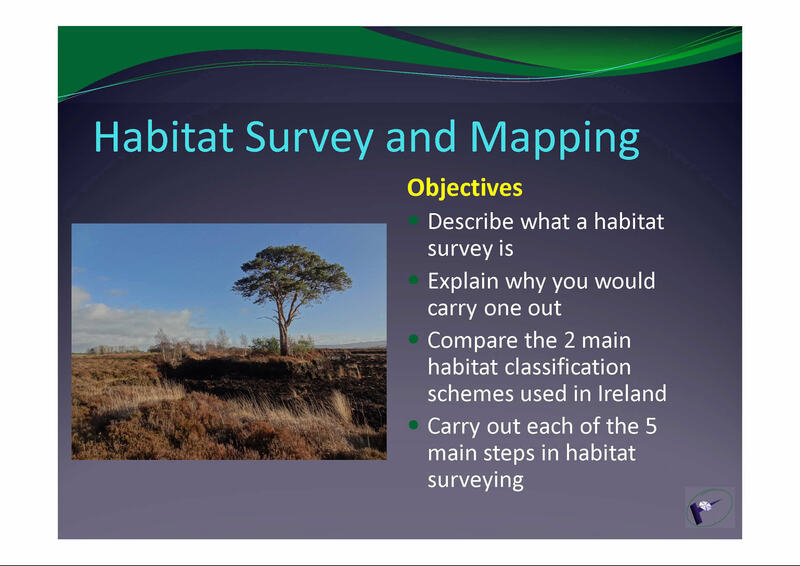 From 2010, Dr Smith has presented annual lectures on habitat survey and mapping to the Trinity College Dublin MSc course in Biodiversity and Conservation. Since 2013, he has also lectured on the subject for the Environmental Impact Assessment course module at University College Cork. 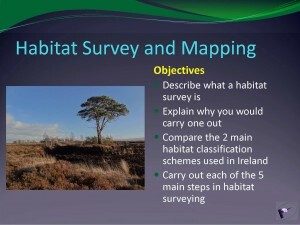 Topics covered include introduction to and uses of habitat survey data, habitat classification systems, planning habitat surveys, desktop research and data sources, field survey, introduction to GIS datasets, and production of habitat maps and reports. Although strictly indoors, the lectures feature a “virtual field survey” based on real projects to familiarise the students with the concepts involved. In 2011-2012, Blackthorn Ecology is assisting BEC Consultants with a National Parks and Wildlife Service (NPWS) monitoring survey of Irish sand dunes. Ireland’s statutory obligations under Article 17 of the EU Habitats Directive include regular monitoring of the conservation status of habitats of European importance. This monitoring survey covers 10 sand dune, dune heath and machair communities listed on Annex I of the Habitats Directive. Coastal sites across Ireland have been chosen by NPWS for long-term monitoring. The project is collecting data on the species composition, structure, management and threats and carrying out habitat mapping of dune systems. 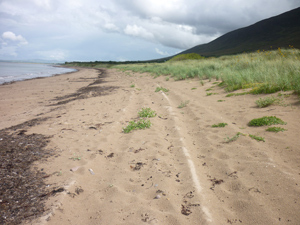 These data will be used to assess the conservation status of Ireland’s dune systems of European importance and will inform requirements for management and ecosystem restoration. Dr Smith was project manager and lead ecologist for case studies of High Nature Value (HNV) farming in north Connemara and the Aran Islands in 2008-2009. HNV farming is characterised by low-intensity land use that supports high biodiversity of habitats and/or species. HNV farmland is economically marginal, and additional support is required to ensure that farms are not intensified, converted to another land-use, or abandoned. Dr Smith led these case studies to better understand the ecological value of HNV farming practices, to understand how these support farmland biodiversity, and to develop recommendations on measures to support HNV farming. GIS-based mapping of potential HNV farmland was carried out based on existing data from NPWS (including Commonage Framework Plan data from the Twelve Bens and the Maamturks), EPA and DAFF. Dr Smith led field surveys of individual farms within the case study areas, which included biodiversity inventories and assessments of threats, including grazing intensity. Detailed interviews were carried out with the farmers on their farming enterprise, current and past farming practices, challenges facing farming, opinions on their landscape and nature conservation, and their suggestions for maintaining HNV farming. 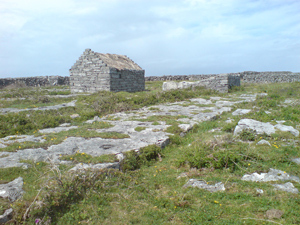 A summary of the project has recently been published in the Institute for Ecology and Environmental Management bulletin and the final project report is due to be published in 2012 by the Heritage Council. What are the short-term impacts of afforestation on improved and wet grasslands, blanket bog and heath? How does biodiversity change over the forest cycle in the most commonly planted conifer (Sitka spruce) and native broadleaf (ash) plantations? What contribution to biodiversity do open spaces within plantations make, and how can this be enhanced? Each phase of the project entailed extensive review of the scientific literature, detailed planning of research design, and intensive field surveys. Plant ecology field surveys included habitat mapping; detailed plot-based recording of vascular plants, mosses and liverworts; and collection of forest structural and environmental data. Dr Smith led the plant ecology team of research assistants, postgraduate and undergraduate students. He also collaborated with zoologists studying birds and invertebrates in designing the research, analysing the results and writing reports and scientific papers. A wide range of statistical and GIS data analysis techniques were used to address research questions. The project outputs included technical reports, including recommendations on forest management, a number of scientific papers, and conference presentations. Dr Smith provided two training workshops to Kildare County Council staff on Appropriate Assessment (AA). One workshop targeted a range of KCC staff and outlined the statutory requirements of the EU Habitats Directive, the European Communities (Natural Habitats) Regulations and the Wildlife Act. The workshop was made especially relevant by reviewing designated areas and protected species in Kildare. Dr Smith outlined the requirements for strict protection of Annex IV Habitats Directive species, such as otters and bats, and provided advice on how statutory obligations could be met. The second workshop was specifically tailored for the KCC Environment Section and focused on carrying out AA screening and full AA for wastewater discharge licensing. The AA procedure was outlined, drawing on Irish and European best practice guidance. Dr Smith used extensive question and answer sessions and specific worked examples to help workshop attendees understand the complex ecological and legal issues.